Happy Monday everyone and hope you had a great weekend. I feel like the weekend went by so fast even with the additional hour of sleep due to daylight savings. Thanks to Nolan, I did not gain any extra hour of sleep (I doubt if kids understand daylight savings). 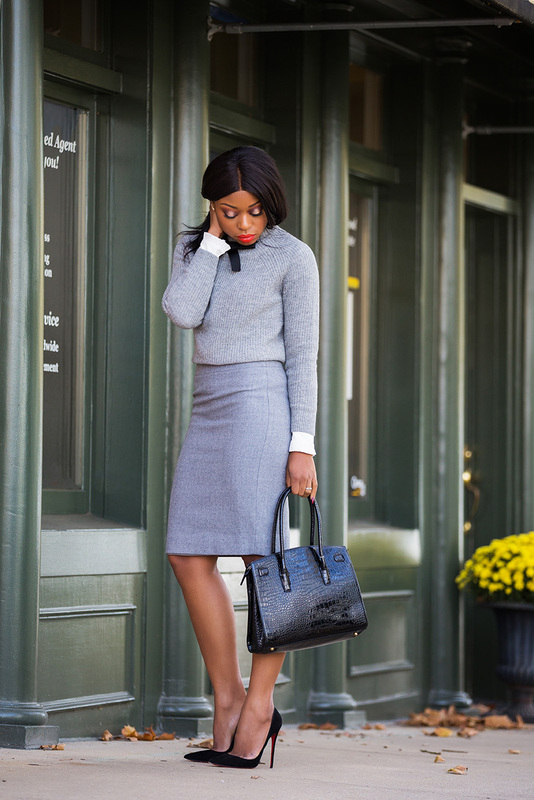 It is a new week with a new work style and Pencil skirts always come in handy for work. Several of my work pieces consist of pencil skirts and ankle pants. This JCrew pencil skirt is worth the investment and I have it in different colors and it never gets old. 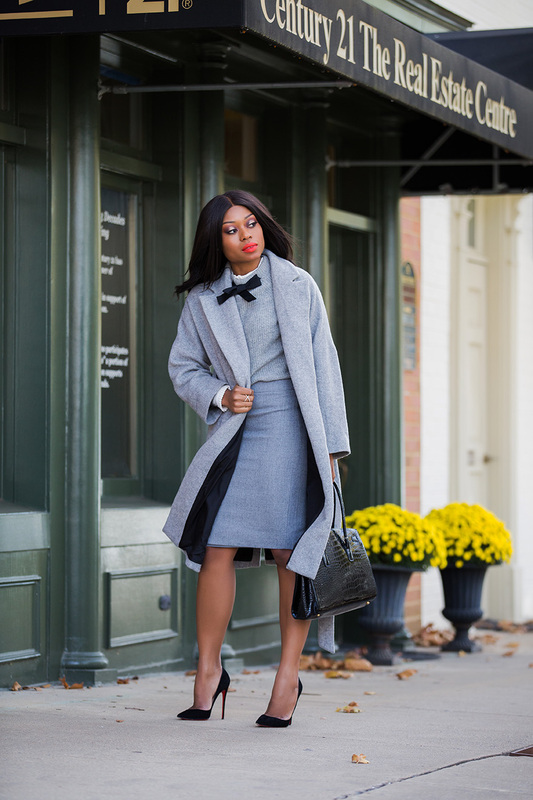 Today's look is about combining grey tones for work. 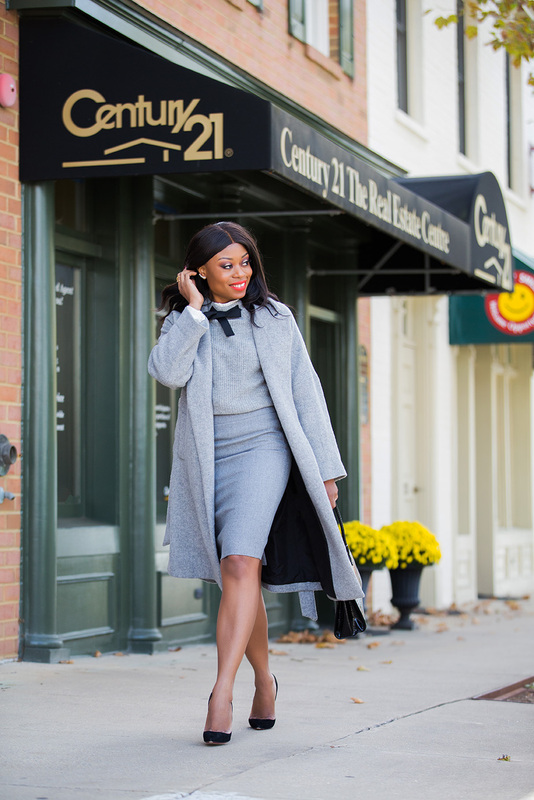 I love the simplicity of monotone looks and grey is a great color for fall. 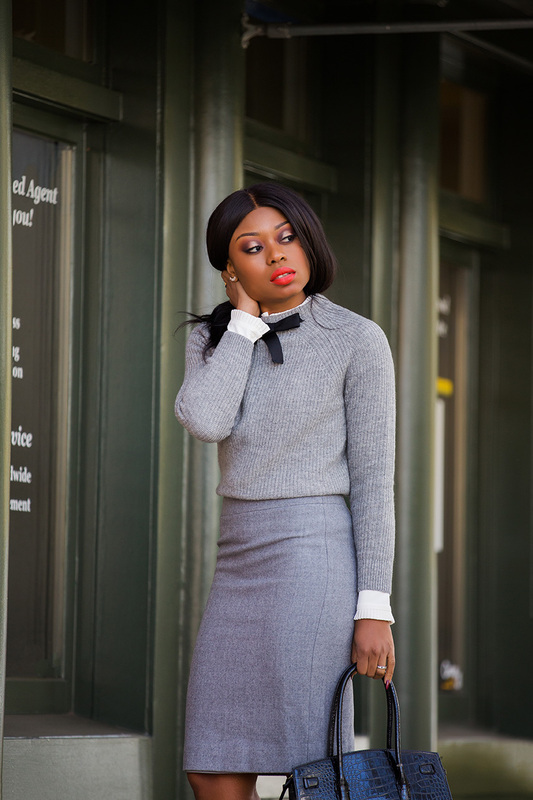 I layered the look with a white blouse and bow sweater. 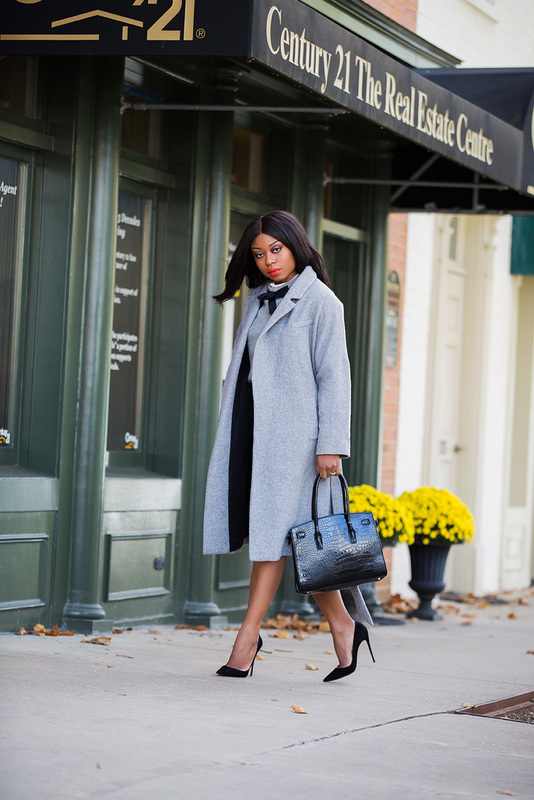 The sweater’s bow detail makes the monotone look stand out, which also complements the black bag. Loving this look. You hair looks great.